By Shubhajit Roy (NEW DELHI, 10 May 2018) – IN HIS third visit in four years to Nepal on May 11-12, Prime Minister Narendra Modi is likely to announce a direct bus service between Janakpur in Nepal and Ayodhya in India, both key places in the Ramayana tourism circuit. A development project for Janakpur, with India providing financial and developmental assistance, may also be announced. The move to connect the birthplaces of Ram and Sita is set to appeal to the BJP’s core constituency as the country heads to Lok Sabha elections next year. Besides Janakpur, Modi will also travel to Muktinath temple, a revered site for the Sri Vaishnava sect, which holds the key to election results in parts of Karnataka. Modi is scheduled to visit the temple on the morning of May 12, when Karnataka is set to vote. Modi and Nepal’s Prime Minister K P Oli are also scheduled to jointly inaugurate the Arun-III, a 900 MW power project. This is Modi’s third visit as Prime Minister — he visited the neighbouring country in August and November 2014. On May 11, Modi is scheduled to take a chopper from India to Janakpur, where he will be received by Oli and senior ministers from Nepal. He will then fly to Kathmandu, where he will meet Nepal’s President, Vice-President as well as former Prime Ministers Sher Bahadur Deuba and Pushpa Kamal Dahal “Prachanda”. 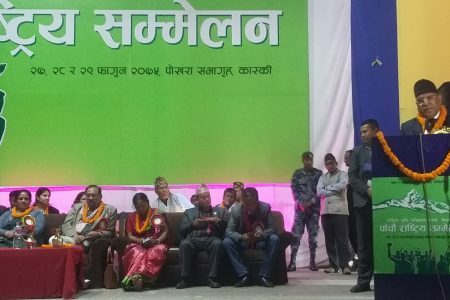 Sources said the Prime Minister will also meet leaders of Madhes-based parties, Sanghiya Samajbadi Forum Nepal (SSFN) and Rastriya Janata Party Nepal (RJPN). “He will close the loop by meeting all the stakeholders,” said a source. 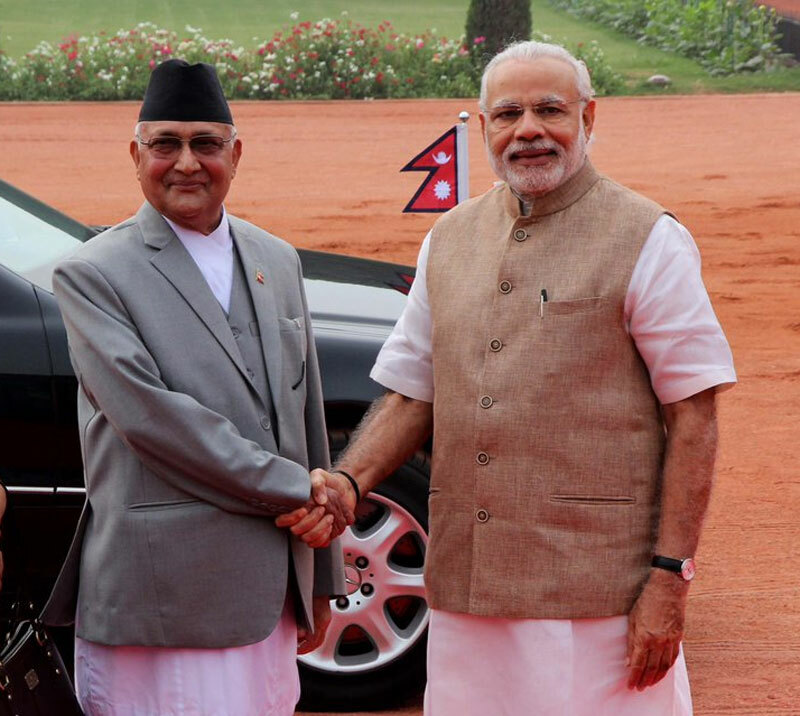 Modi’s visit is expected to “rebuild” on the gains from Oli’s visit to India last month. 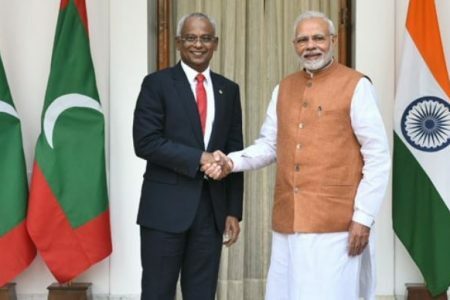 “These back-to-back visits are aimed at bridging the trust deficit between the two countries,” sources said, adding that New Delhi is looking at “incremental progress” in three areas of bilateral cooperation. Sources said India is likely to announce the railway entity which will undertake the feasibility study for the Raxaul-Kathmandu railway link, along with a Memorandum of Understanding. It is expected that the study will be completed by 2018-end or early-2019, sources said. In the field of agriculture, the Indian government has identified the pilot project in organic farming — Oli had expressed interest in the sector as he visited Pantnagar last month — and will give the green light during Modi’s visit. The two sides will also show progress in the area of inland waterways, which will link Nepal via rivers. 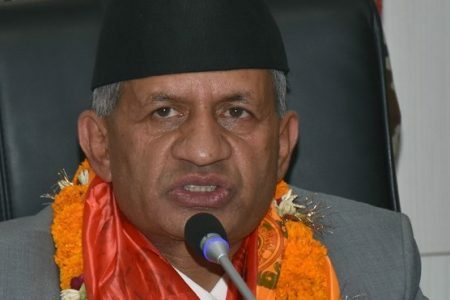 Sources said discussions will be held on the security of Indian investors, and these concerns will also be raised with the Nepalese leadership, especially in the wake of two incidents targeting Indian interests in Nepal over the last few weeks.